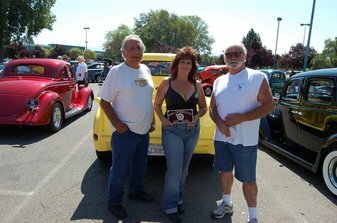 Joe Maniglia and Larry Block with Joe Crisafulli's daughter Sharon Crisafulli. 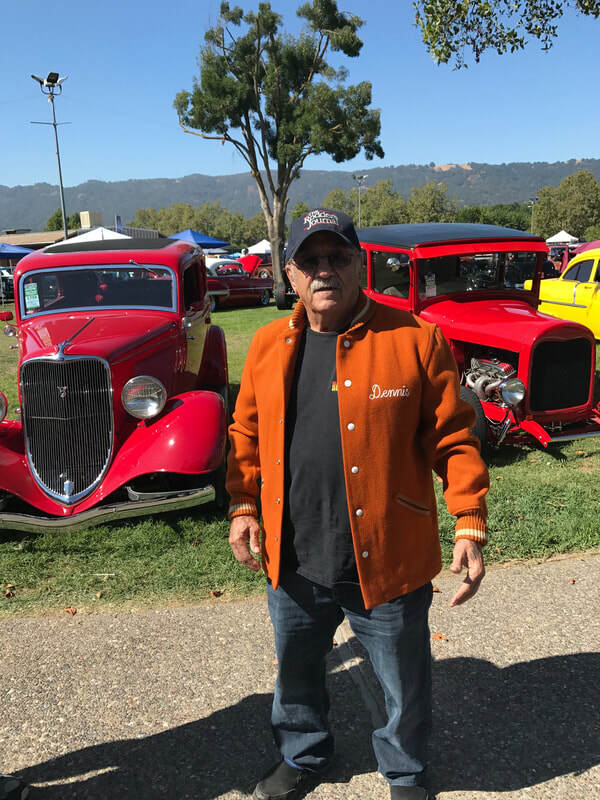 Joe Crisafulli was one of the original members. 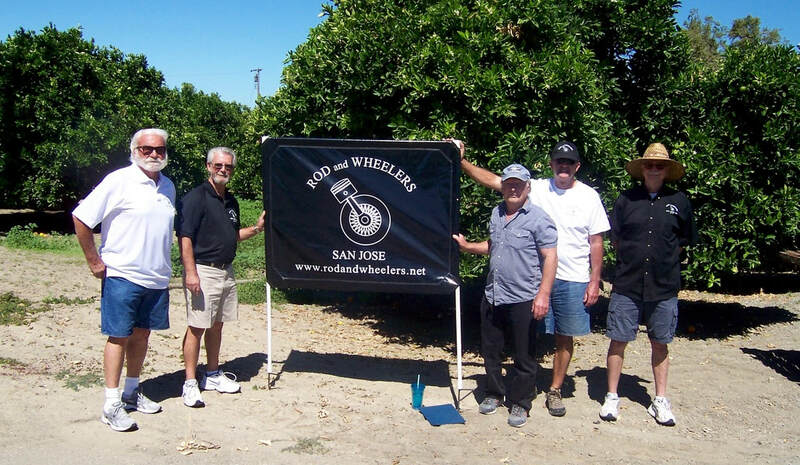 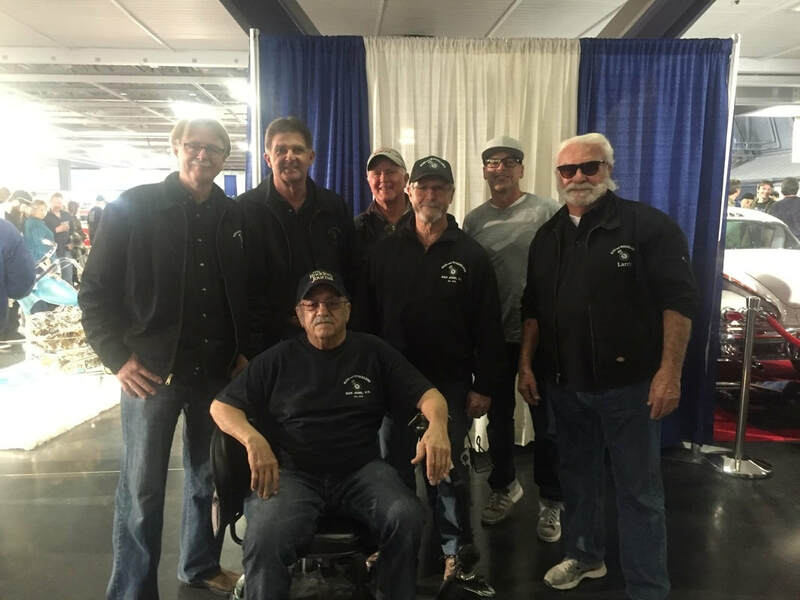 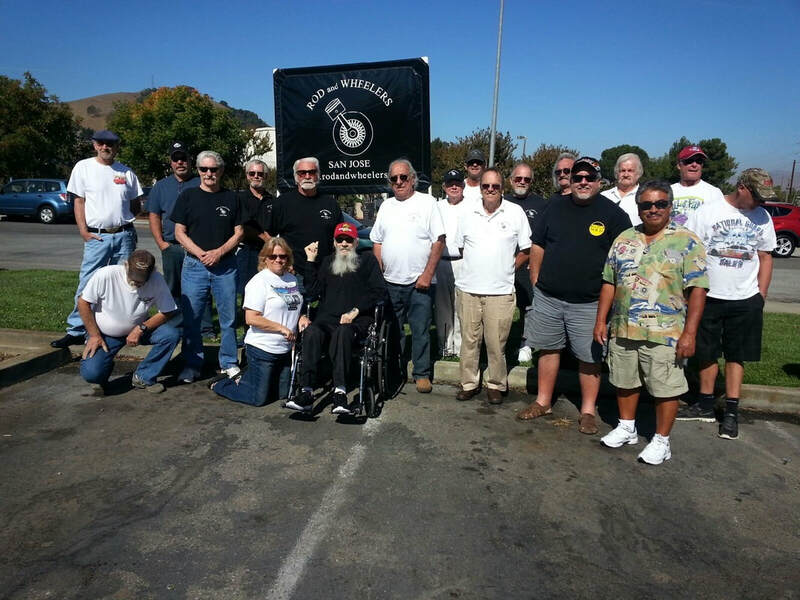 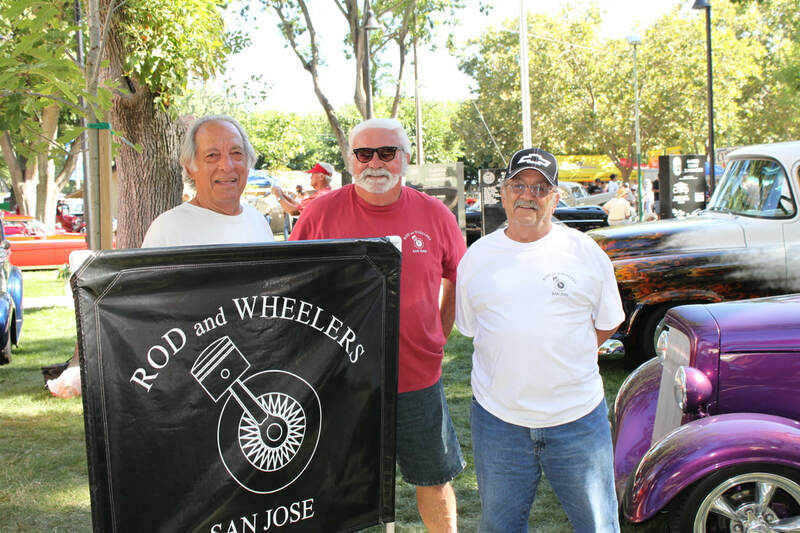 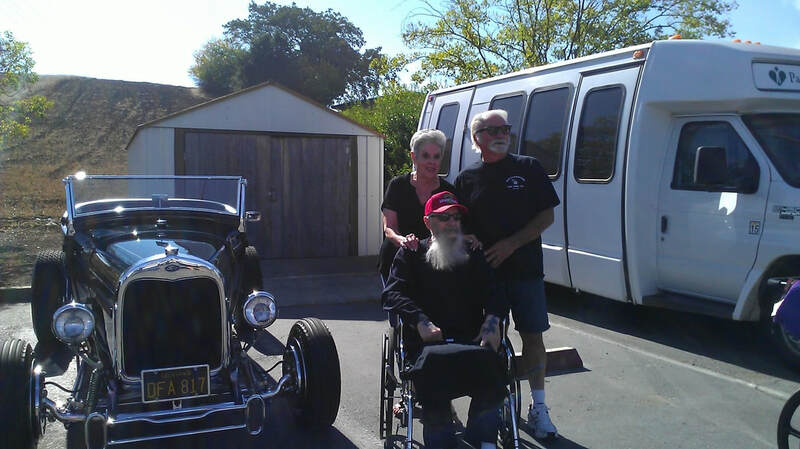 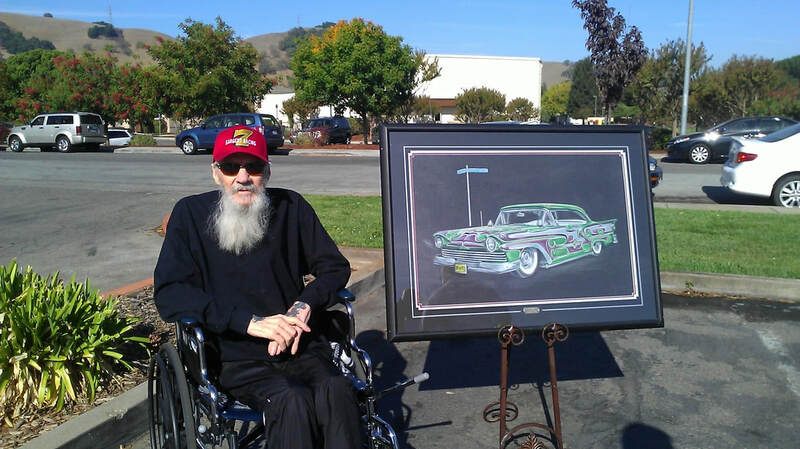 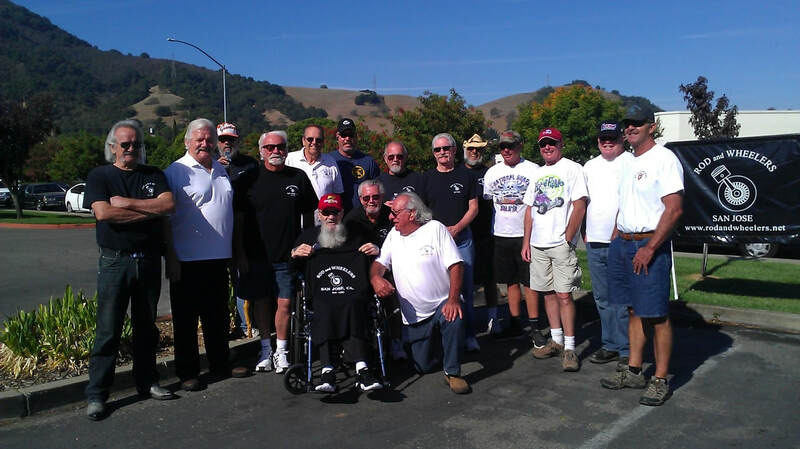 ​DENNIS GOMES (ONE OF THE ORIGINAL MEMBERS) SHOWN WITH HIS SON ANTHONY AND HIS ROD AND WHEELER BUDDIES AT THE SACRAMENTO AUTORAMA FEBRUARY 18, 2017. 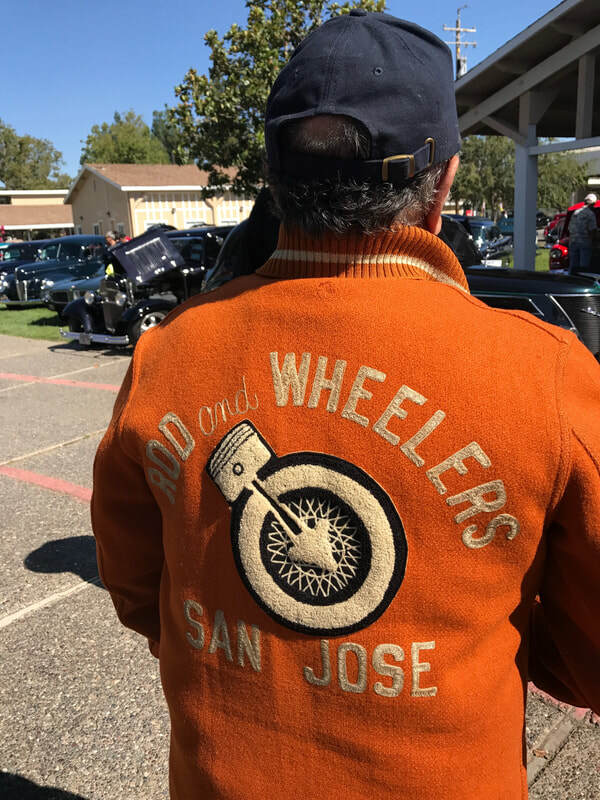 Dennis Gomes shown wearing his 1952 Rod and Wheelers jacket.